From the creators of Japanese Cooking 101, Simply Bento is a complete collection of nearly 100 delicious and healthy bento recipes for everyone in the family. Ready to make lunch quick, easy, and delicious? Traditional Japanese bento boxes are single-portion packed lunches usually made with things like steamed rice, vegetables, and sushi, and they have long been one of the main pillars of Japanese cuisine. Today, bento boxes have become hugely popular in both the East and West, creating a fusion of incredible flavor combinations. 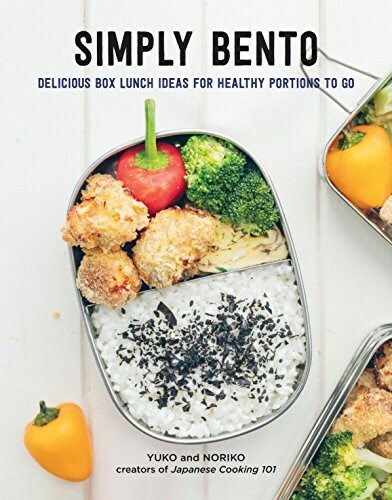 Simply Bento features nearly 100 healthy, delicious bento recipes you can make for every day of the week using a combination of traditional and non-traditional ingredients! Learn the essential components for a bento box, how to assemble your box, and the everyday items you will need in your pantry. So if you're in the mood for Teriyaki Chicken, Ramen, Avocado Pasta Salad, Cauliflower Fried Rice, Falafel, Tempura, or Chicken Nugget for the kids, then Simply Bento has the bento recipes for all of them and more!